Time flies! 時光飛逝，光陰似箭！Happy new year! What happened in 2015? Have you missed anything important on Hacking Chinese? This is the best time to find out. In this article, I will share the best articles from the year that was, first by popular vote and then by editor’s choice. 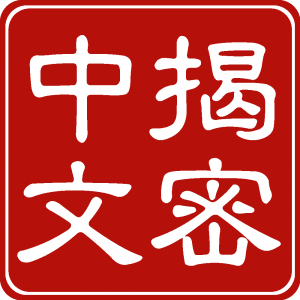 The following list shows the ten most popular articles on Hacking Chinese from 2015. It’s based purely on how many times these articles were visited, which is of course only one definition of “best”. If you think I’m better at picking the most important articles, scroll down and check the editor’s choice below. Even though I think all the articles linked to above are good, I think some of them aren’t as important as the visitor count suggests. A good example of this is Learning Chinese characters through pictures. I’m certain that this article ranked highly because many people thought it was about how to use pictures such as the one shown above to make it easier to learn characters (a little bit like Chineasy). I bet many shared without even reading the article, which is actually about why using such pictures is a bad idea. The launch of my course marks a very important milestone in the history of Hacking Chinese. I have invested thousands of hours into producing free content and I will continue to do so, but without bringing any income, Hacking Chinese won’t expand. If you like what I’m doing, get the course and/or recommend it to your friends! This is a guide to how to learn characters as efficiently as possible and how to maintain functional written ability in Chinese. For most people, it’s a bad idea to skip characters entirely, but it’s an equally bad idea to spend as much time as native speakers do learning to write them by hand. David Moser explains why learning to read Chinese today is significantly easier than it used to be. However, to make use of the improvements he talks about, you need to go about it the right way and use the right tools, otherwise you might as well be stuck in the 1980s. This is important! This tone training course is part of my thesis research and is important in many ways. It was created as a collaboration with Kevin Bullaughey (WordSwing). In the first step, only single tones are tested, but we plan on expanding it to tone pairs later. The course is still open! This is a small but extremely important trick that can improve your character reviewing method a lot. It’s deceptively simple: just make sure you envision the entire character before you start writing it. This will avoid validity problems with your learning method and it’s much harder to cheat yourself into believing that you know more than you do. What you intend to write is more important than what you actually write. This article sprung from an observation I made years ago that has just grown stronger since. If you follow the carefully marked path of textbooks and courses, you will soon find yourself in the land of illusory advanced learning. You will think you are an advanced learner, but in fact, you’re not. You will have narrow and advanced knowledge with a very bad foundation. This article is about the problem and how to fix it. Fonts and character variations cause major headaches for new students. This article along with the articles linked to within are meant to help you understand what’s going on and sort out most of the question marks. Keeping track of font differences and character variants will still be hard, but understanding is the first and most important step. Finding good resources online for improving pronunciation is not easy. In this article, I’ve taken the time to collect my favourites. Pronunciation is one of my favourite areas of learning Chinese and this article is the result of years of searching for and collecting resources. I want to mention this article because it’s the start of a series of three articles about transcription systems (Pinyin, Zhuyin and IPA). This is sometimes ha hotly debated issue and here I try to explain why which system you use isn’t all that important, but that learning more than one system is a good idea. Finally, I want to mention this series of articles about creating an interconnected web of knowledge. You need to be able t zoom in (break characters down), zoom out (put them into context) and pan (look at similar items on the same level) to learn and remember efficiently. This series of articles gives you the tools and resources you need.